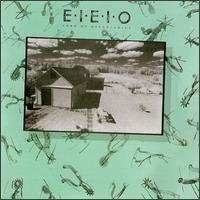 The Best Alt-Country CD You've Never Heard: E.I.E.I.O. 's "Land Of Opportunity"
In 1986, there was a mini-revival of rock-tinged country acts. Two such bands came charging out of Wisconsin, releasing their debut efforts within weeks of each other. One you’ve heard of, the other I am willing to bet you haven’t. The BoDeans, whose debut effort was produced by T-Bone Burnett, received a heaping helping of press attention and moderate chart success. Ten years later, they finally hit paydirt with “Closer To Free”, which was used prominently in the TV show “Party Of Five” and jetted into the Top 20. Working twice as hard for not even half the attention was a little band called E.I.E.I.O., whose debut album, Land Of Opportunity, also featured an appearance by Burnett. Their debut album was wonderfully produced by Los Lobos member Steve Berlin (with Mark Linett) and outkicks the BoDeans’ effort in every way imaginable. Singer/guitarist Steve Summers’ tales of love-gone-wrong and youthful restlessness are brilliantly candid and cinematic. If Springsteen had spent his adolescence sowing his wild oats throughout Arkansas and Texas, Born To Run could very well have ended up sounding like this. Also, the band’s pedigree is not without merit: guitarist Rob Harding had done a stint in Chicago-based rockers Off Broadway USA (who had a regional hit in 1979 with “Stay In Time”). Bassist Richard Szeluga was an original member of Cheap Trick. Guitarist Mike Hoffman was a renowned local producer who would eventually leave the band after this release to join Warner Bros. act Semi-Twang. Twenty years(!) after its release, Land of Opportunity still stands as one of the best, yet most under-appreciated alt-country releases ever recorded. Where the BoDeans had the strength of Warner Bros. behind them (as Warner distributed the band’s label, Slash), E.I.E.I.O. was signed to the indie label Frontier Records (which had released records by Three O’Clock and Redd Kross). While Frontier managed respectable national distribution of the record, it just wasn’t enough to give this album the attention that it deserved. The band toured extensively, opening for the likes of the Bangles and Hoodoo Gurus, but, again, without the strong promotional machine of a major label behind them, they were fighting an up-hill battle. Well, I could go on forever singing the praises of this record. I am hoping, instead, that you’ll do yourself a favor and check out the tunes.